A document api.mylumin.net will appear in the message screen. Tap on it. You will be brought to the Lumin download page. Near the app image, tap on Get. If asked, enter your password. You can also use Touch ID for this depending on which iPhone version you are using. The app then downloads to your device. Should you ever need to download the app again, You can also go directly to the app by clicking this link to the App Store. 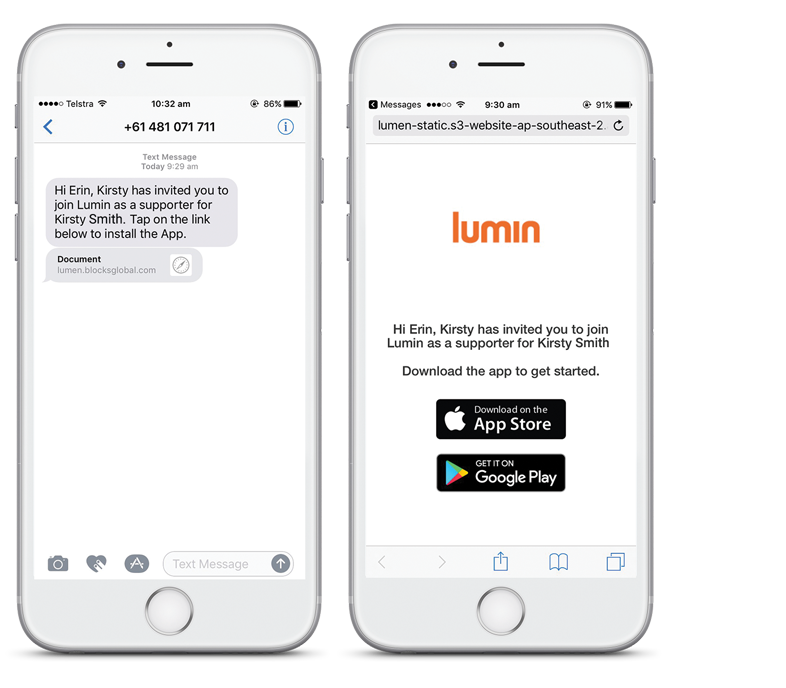 or search for the Lumin Supporters App in the App Store by using the keywords "Lumin Home".